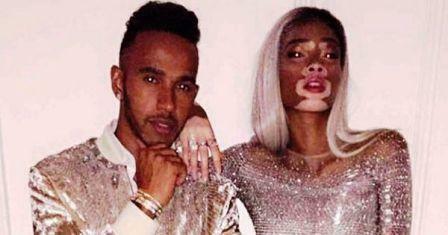 In 2016 Lewis Hamilton’s girlfriend was the beautiful model, Winnie Harlow. The 22-year-old stunner was seen partying with Hamilton in New York. The couple kept their relationship a secret for three months before the paparazzi finally spotted them. They arrived together at Kanye’s Yeezy 4 collection fashion show last year, and also left the GQ Men of the Year awards bash holding hands. Harlow even attended Hamilton’s Grand Prix party in London in July 2016.